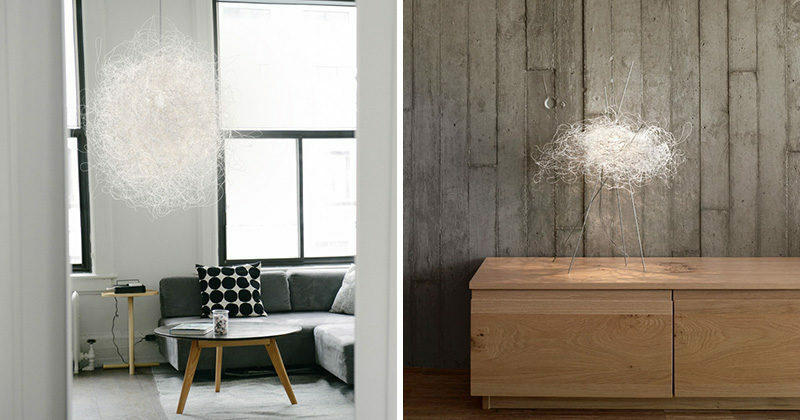 Arturo Alvarez has launched their new 2017 collection, and included in the collection is Pili, a modern cloud-like decorative light fixture. 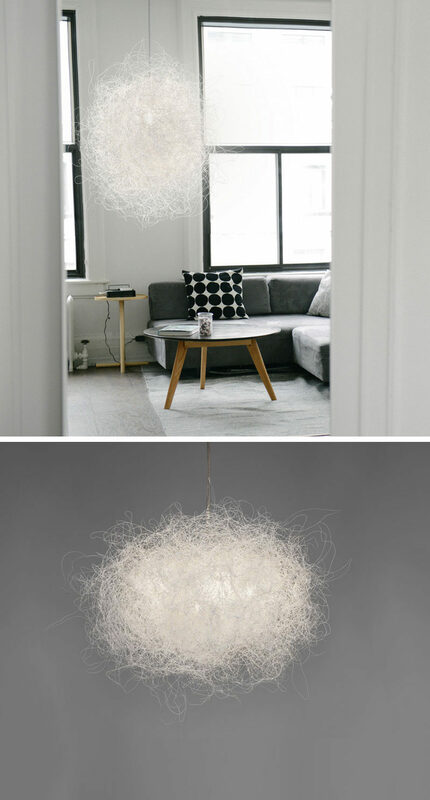 Designed and manufactured in Spain, Pili is made from a single, white painted stainless steel thread that’s interwoven, creating random volumes and sizes. 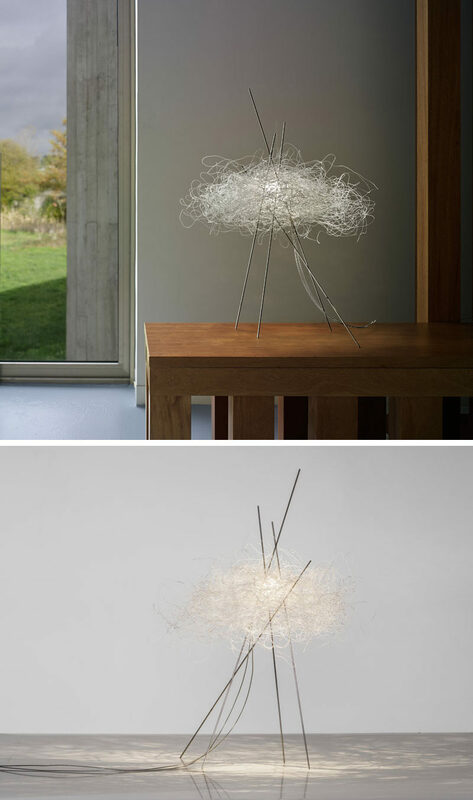 This contemporary light, available as a pendant lamp or a table lamp, lights up like a glowing orb and brings a sense of mystery to a room with its irregularity.